Jason Parks, the minor league system guru at Baseball Prospectus, has released his organizational ranking with the Blue Jays placing a much more respectable 13th on the list. I say “much more respectable” because Keith Law at ESPN had the Blue Jays ranked 24th which, I think, most people who are even passingly familiar with the Jays’ minor league system would feel is extraordinarily low. Perhaps Law places more of an emphasis on players who are closer to major-league ready than the others do but Parks appears to recognize the high density of young talent that is starting to move up through the Blue Jays’ minor league system and will start to get a lot more attention in 2014. As someone who has followed the Blue Jays’ minor league system closely for some time, I think he’s bang on. 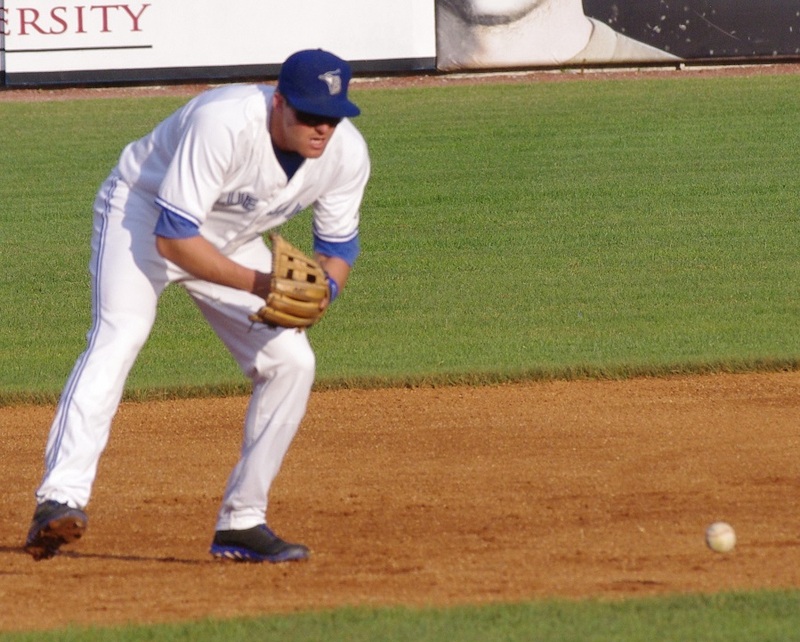 With a huge group of talented youngsters moving up from the obscurity of short-season rookie ball to Class-A Lansing in 2014, the Blue Jays class of 20-year-old (and younger) talent is poised to make some noise. Parks tags the Lansing Lugnuts as the “Must-See Affiliate,” noting that Alberto Tirado, D.J. Davis, Chase DeJong, Jairo Labourt, Mitch Nay, Matthew Dean and Rowdy Tellez will be there. I’m a little more skeptical about Tellez, who just played his first season in professional baseball, being in Lansing, particularly with the depth that the Blue Jays have at first base. I think Tellez will start in Bluefield and progress to Vancouver by the end of the season. Parks doesn’t even mention Dawel Lugo who is slated to be the starting shortstop for the Lugnuts nor does he single out Canadian Tom Robson who had a phenomenal season between Bluefield and Vancouver last year. My colleague at Jays Journal and in working on our Minor League Handbook (coming soon), Charlie Caskey, has a hunch that Robson will start the season in Dunedin rather than Lansing. Parks singles out two players, Miguel Castro and Mitch Nay for breakout seasons. I heartily agree. Castro put himself on the map with a few very strong outings in the GCL and in Bluefield last year after doing enough to earn the R. Howard Webster Award for the MVP of the Dominican Summer League team. Nay, of course, was an All-Star in the Appalachian League, hit .300 and impressed with his plate discipline. He was also named the MVP of the Northwest League Playoffs after he was promoted to Vancouver to help the Canadians win their third consecutive league championship. The sheer numbers of talent that the Blue Jays have coming up to full-season baseball in 2014 will help push the ranking higher in coming years. The fact that the Blue Jays are still in the top half of minor league systems despite having traded away so many high-ceiling prospects is a testament to the scouting department’s work over the past few years. In today’s Toronto Star, Richard Griffin writes about the Jays’ prospect mini-camp that allows some of the lower-level but high-ceiling prospects to get in to camp sooner. He quotes Mel Didier, a senior adviser to Alex Anthopoulos and key architect of the Montreal Expos as saying, “I definitely feel the depth of the organization can be back to where it was in the next year or two . . . With a good draft this year, we could really jump over the hoop. We could really be something sort of special.” Thanks to people like Jason Parks, this type of optimism is not just coming from within the Blue Jays’ organization. Don’t forget about The 2014 Toronto Blue Jays Minor League Handbook, available March 31 as an ebook at Smashwords.com, Amazon, Apple iBooks, Kobo and other fine retailers for $7.99. Come back in early March for pre-order information.